Every time after I have a Numerology reading with someone, 95% of the people leave saying, “Wow, I had no idea that numbers could reveal so much information”. It’s true. It really does. Ever wonder, “why does this keep happening to me? ?” Chances are, that whole pattern is related to what we call your “Lesson Number”. Learn what’s behind all that so you know how to move past the challenges that come up in your life much more smoothly. It’s weird, we don’t really stop and wonder how our brain works. Back in school, maybe a teacher had once said, we all learn differently, but then kind of just left it there. 1+1+2, that’s it. Some people got it, some people didn’t and were told we had to move on. If you didn’t get it, you’ll just have to figure it out on your own later. Maybe you needed to see 2 apples apart and then placed together in order to understand the concept of 1+1=2. Imagine what it would be like to understand how we individually process information so that we can receive information more quickly and effectively? We’d be super productive! And learning about how many of those thoughts are actually serving us in conscious ways, and how many of them are judgements that feed the ego, getting buried deeper into our subconscious? Understanding the way we think through numerology can help make better decisions that we’re proud of. 3) UNDERSTANDING OUR EXTERNAL IMAGE, INTERNAL IMAGE AND FINDING HARMONY IN BETWEEN. Let’s be real, for most of us, it’s hard not to care about what people think about us. After we hear judgements from other people (external image), and when we interpret it in our own mind (which become our internal image) it can be hard not to jump into the rabbit hole of further self-judgement, but that’s not really helpful to you or anyone else. Wouldn’t it be lovely to understand how we are seen in a neutral perspective, and how far or close that external image is from who we really are at the core? Wouldn’t it be nice to address our insecurities so that they don’t leave us feeling hurt or angry anymore? The more harmony we can find between the external and internal image, the more authentic you are. 4) UNDERSTANDING WHAT YOU’RE GOOD AT, NOT SO GOOD AT, AND YOUR HIDDEN TALENTS. Ever think about why you’re a natural at arts, playing music without formally learning? Great at numbers? A really good organizer? Learn what your strengths and weaknesses are so you can better apply yourself in any situation - whether at work, in romance, how you can be a better friend, colleague or member of your family. 5) UNDERSTANDING YOUR LIFE PURPOSE, AND THE ROADS THAT LEAD TO IT. We’re all here to fulfil our life purpose, but what is it? Most of us are eager to find out what it is, and a small portion of the population might know what it is, but an even smaller pool of people know how to actually fulfill it. 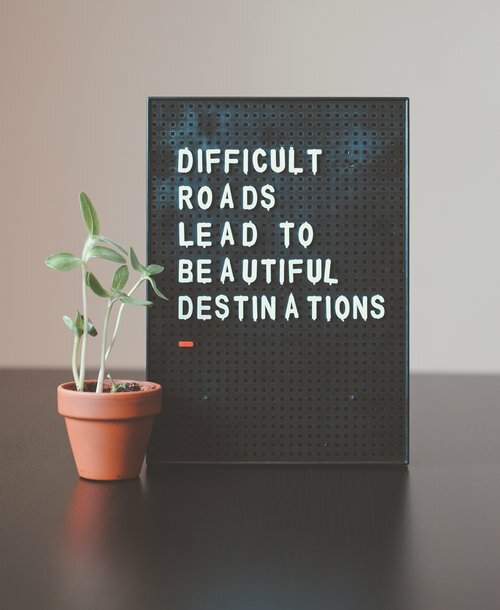 Numerology can help your guide because it actually reveals a roadmap with numbers, showing you different ways that lead you to your life purpose and you get to choose your favorite route. Fortune-telling. We believe in free will. We change daily, and when we’re willing to be honest and do the work to create change, WE change as a person so we’re not fans of this whole idea of fixed destiny. A seriously practical tool that can reveal a ton of information about you and your relationship with others. Then by understanding who you are more, what your strengths/weaknesses are, and about your life purpose, you’ll have a fuller picture of who you are. You can then create next steps more effectively and productively to becoming your best self! More to share about the Numerology for business, relationships, family and special occasions soon! In the meantime, if you’re interested in learning more about yourself through Numerology, click below and let’s schedule a reading!